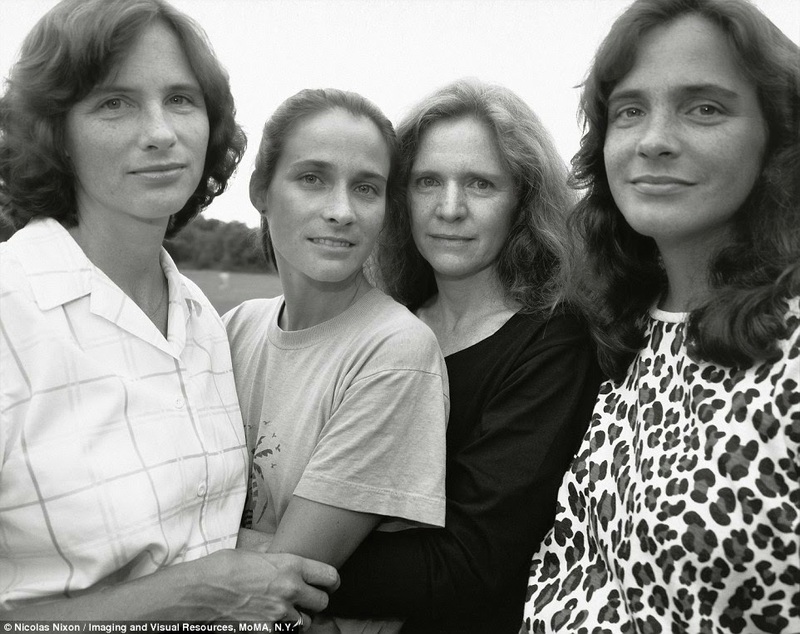 A series of photos, taken by Nicholas Nixon, are reported to be currently on display at the Museum of Modern Art until Jan. 4. 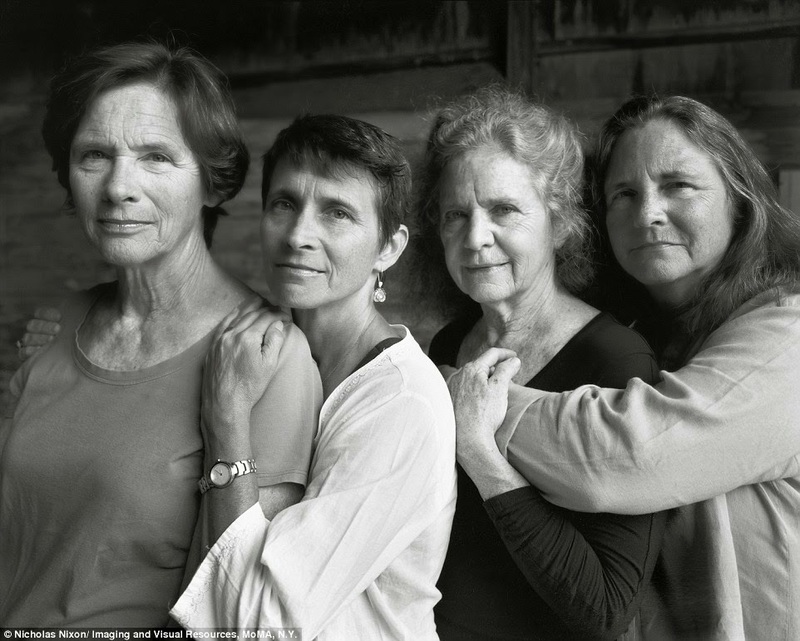 The exhibit, tagged 'Nicholas Nixon: Forty Years of the Brown Sisters', shows the physical transformation and aging of a group of four sisters over four decades. 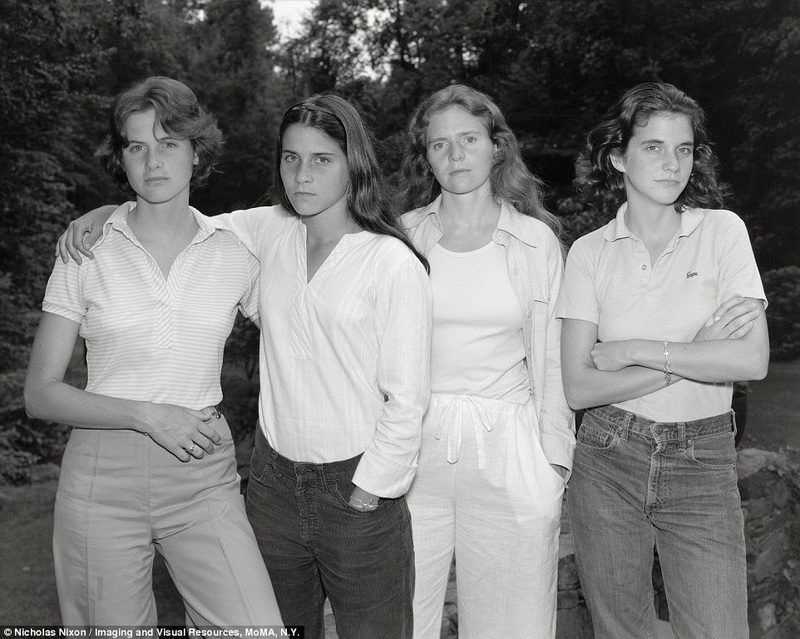 At the time of the first picture above in 1974, from left to right, Heather was 23, Mimi was 15, Nixon's wife Bebe was 25, and Laurie was 21, and . 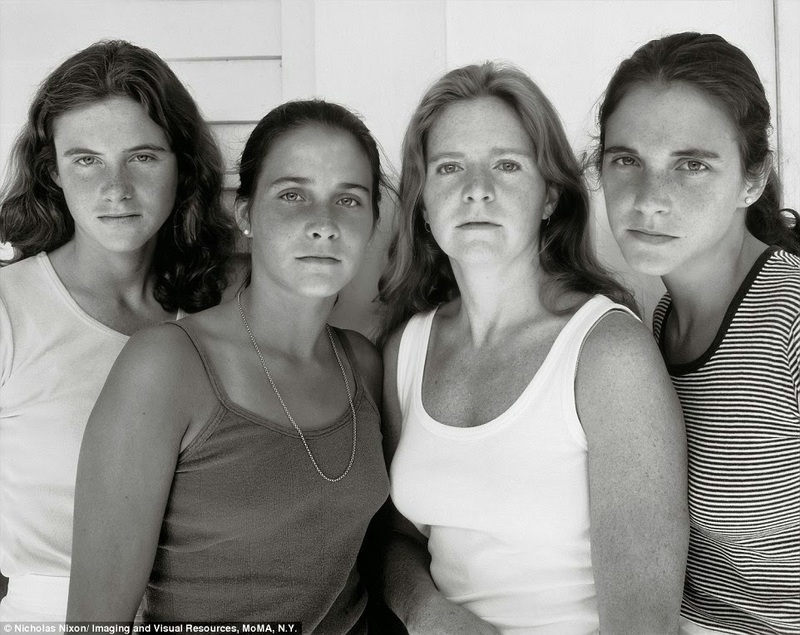 Over the years, Nixon and his wife went on to have 2 children. 'The series grew out of boredom. We’d go down to visit [my wife] BeBe’s parents on weekends. 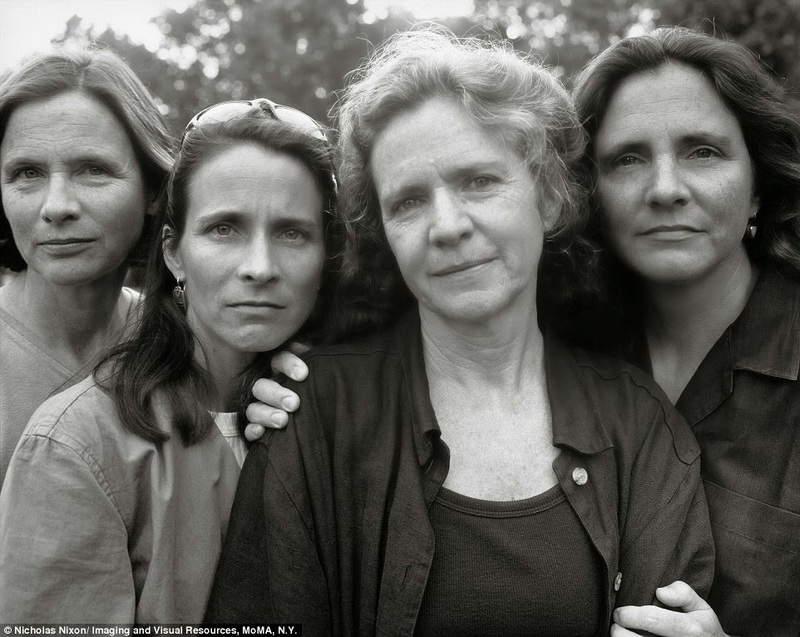 'It didn't really get serious until the next year , the year of Laurie—the woman on the right's—college graduation. And that's when I took the second one, and kind of on a whim, said let's do it in the same order. 'So it was having two pictures in my hand, and the year space between them that gave me the idea that it would be really interesting to do it forever. And so I asked them if we could. And they all laughed at me and said sure. 'We joke about it. But everybody knows that certainly my intention would be that we would go on forever no matter what. To just take three, and then two, and then one. The joke question is what happens if I go in the middle. I think we'll figure that out when the time comes.